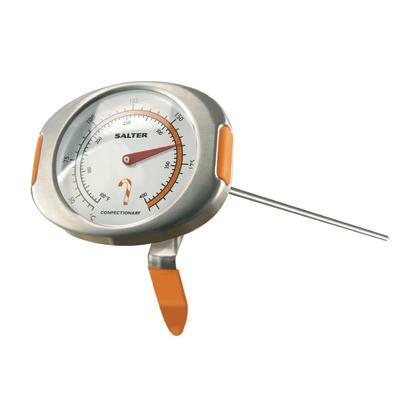 The Salter Gourmet Confectionary Thermometer specialises in the assistance of confectionary making. This dial thermometer uses an orange gradient to illustrate the best temperatures for confectionary making. The Salter Gourmet Confectionery Thermometer has an integrated clip to attach the thermometer to a jug or containers, so that you can continuously measure the temperature of the liquid you’re using to make confectionary.